Our December 2014 boxes should be with all box subscribers by now. We hope you are enjoying your teas already! We have a lovely Jasmine Pearl, a sweet Kukicha, well-balanced Golden Monkey King and a delicate Darjeeling Thurbo First Flush. To help along with your tea tasting, we are launching our monthly posts that will feature more detailed information on teas of that month. 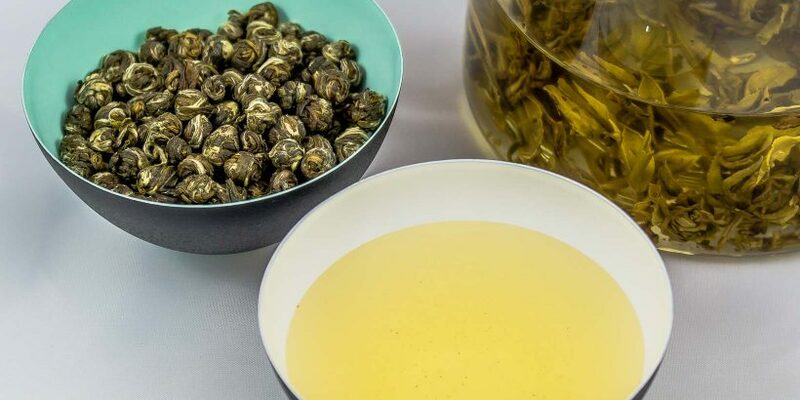 Jasmine Pearl is a famous tea that originates in China. Jasmine Pearl is made by hand by tightly rolling fine leaves and buds to form tiny pearl shaped balls. This process takes place in spring; the pearls are then dried out and stored until summer when jasmine blossoms are at their peak. In summer the pearls are left in a darkened room where up to six layers of tea are alternated with layers of fresh jasmine blossoms. When the pearls soak up the jasmine character, the blossoms are removed and the pearls are dried out again to remove any moisture that was acquired from the blossoms. Jasmine tea is often used in China as a welcoming gesture to guests. This Jasmine Pearl was sourced by us for our December 2014 Light and Mixed boxes. It comes from the Fujian province of China and is created using the finest green leaves that are rolled into small pearls. The pearls of tea unravel when brewed, releasing the heady and fragrant jasmine aroma. The liquor is a light green colour, while the flavour is slightly nutty dominated by jasmine and honey. It is best brewed at 80°C for 3-5 minutes, with multiple infusions, using glass teaware to enjoy the unfurling leaves. Try brewing for longer, especially on the second infusion to bring out the honey notes and to increase the heady jasmine fragrance. This tea also works great as an iced tea or simply cold. To make it, brew as you like it, decant it to a jug or bottle and once cool store in the fridge. It makes for a great and refreshing drink! If you are feeling adventurous, mix cold jasmine tea with lychee juice to taste (try 1/3 juice to 2/3 tea) making a simple yet tasty non-alcoholic cocktail. You can now purchase Jasmine Pearls green tea in our tea shop. Kukicha comes from Japan and is made from tea leaf stems and stalks that are removed during the production of Sencha. As it is made with the stems, it’s also known as ‘twig tea’. The inclusion of the parts of a tea plant that are normally excluded from tea production results in a unique flavour that you are bound to love! We selected this Kukicha for our December 2014 Light box. 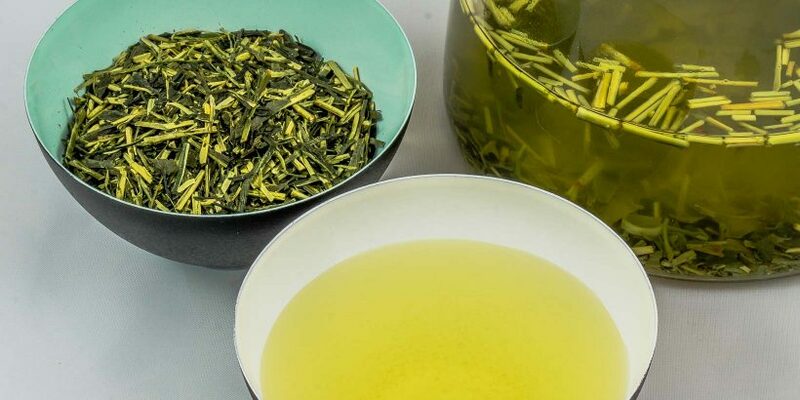 It is a mixture of dark green Sencha leaves and yellowy stalky pieces that are the stems. The liquor is pale yellowy-green with a slight fragrance. The flavour is light, sweet and somewhat toasty with notes of nori and almonds. The sweetness comes from the higher sugar content of the stalks and is completely natural. It is best brewed at 80°C for 3-5 minutes, with multiple infusions. This particular tea is also very low in astringency so you can brew it for longer than normal with green tea. The resulting flavour will be more intense and sweeter. You can purchase Kukicha in our online shop. Golden Monkey King (金猴茶 Jin Hou Cha) tea originates from Fujian and Yunnan provinces of China. 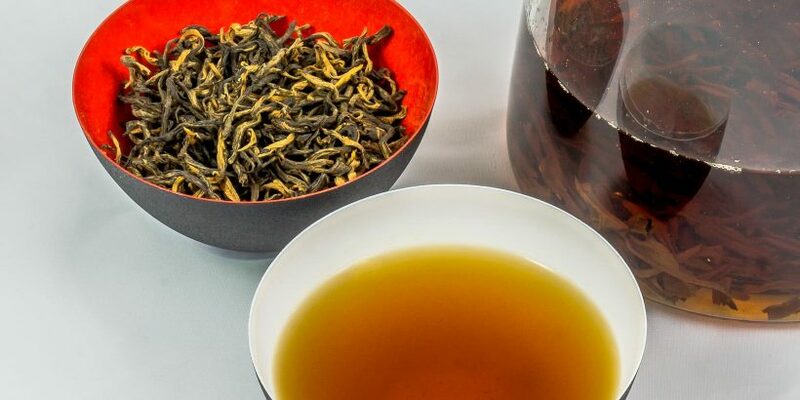 There are different theories as to why this tea is named after golden monkeys, it could be that the dry leaves resemble golden monkey paws or that in folklore it is said to have been picked by golden monkeys from tall tea trees. Either way, it was very popular with local Chinese landlords and Taipans, who believed that the tea gave them the strength and virility attributed to male golden monkeys. 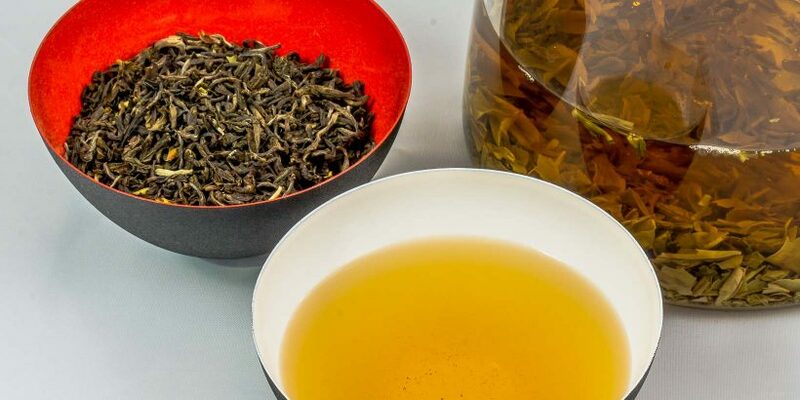 This is a very special tea that is carefully processed from plants typically used for white tea production, hence it is considered to be a black counterpart to the white Silver Needle. Only the bud and the first leaf are picked during harvest, which lasts for a short period in April and May. The leaves are then rolled by hand and put through a carefully controlled oxidation process. This ensures the distinctive golden tip appearance and gives it great flavour that is mellow and low on tannins. We sourced this Golden Monkey King tea for our December 2014 Dark and Mixed boxes from the Yunnan Province in Southern China, which borders Vietnam, Laos, Burma and the Assam Valley of India. Golden Monkey King possesses a very neat, attractive, large and twisted leaf with a large amount of golden tip. When brewed it produces a floral fragrance and a deep, rich but very mellow liquor with a distinctive caramel flavour and peachy sweet notes. It is best brewed at just under 100°C for 3-5 minutes. This is a complex black tea that can be enjoyed in multiple infusions. You can also purchase Golden Monkey King in our tea shop. This is a highly acclaimed Darjeeling First Flush from the Thurbo tea estate in India. Thurbo estate is located in the beautiful Mirik Valley of western Darjeeling, very close to the Nepalese border. 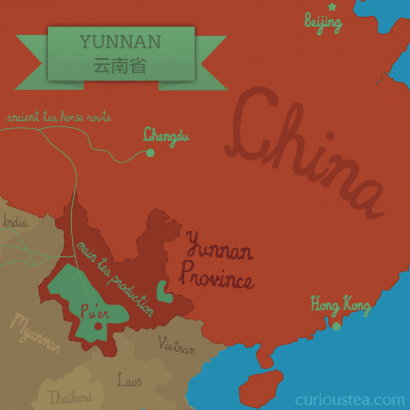 The estate is well known for clonal teas, where the bushes are grown from cultivars originating from the original plants brought from China rather than from tea seeds. This imparts a distinct flavour and quality to these highly sought after teas. The Thurbo First Flush that is featured in our December 2014 Dark box is a FTGFOP1 (Finest Tippy Golden Flowery Orange Pekoe top grade) tea exhibiting a fine neat leaf with plenty of tip. 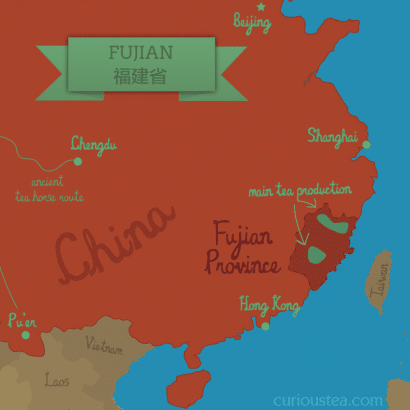 Being a First Flush, it is the best of tea grown in that season, plucked between March and May, with a rare and distinctive character that is characteristic of First Flush teas. When brewed this complex drink possesses a light rosy liquor with gentle floral fragrance. The flavour is complicated, with spicy and fruity notes, especially of peach. It is best brewed at just under 100°C for 3-5 minutes. We have found 4 minutes to be the optimum time for this magnificent tea, which is the favourite drink of December here at Curious Tea. 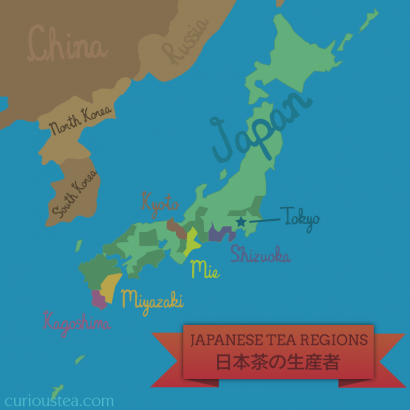 We hope that you enjoyed the teas in our December 2014 boxes and are looking forward to the January selection! We love to hear from you, so if you have any questions, suggestions or just want to chat about tea, contact us at contact@curioustea.com, via our Facebook page or via Twitter. This entry was posted in Monthly boxes and tagged black tea, Darjeeling, green tea, Japan, tea on January 10, 2015 by Curious Tea.